The SMi Group is pleased to announce the 3rd annual Unmanned Maritime Systems Technology conference which will be held in London on the 8th and 9th May 2019. Mr Alper Erdener, Program Director - Unmanned Systems, ASELSAN A.S. Program Director - Unmanned Systems, ASELSAN A.S.
View details Intrepid Minds Sponsors and Exhibitors http://www.intrepidminds.co.uk/index.html Intrepid Minds Ltd are a UK based SME with offices in South Africa and New Zealand. Since its inception in 2010 Intrepid Minds have been developing autonomous technologies, infrastructure and supportive tools for multiple industries with a focus on defence, renewable energy, transport and agriculture. Intrepid Minds are keen innovators ourselves and have completed numerous Innovate UK, KTN, FP7 and H2020 projects Over the last 8 years Intrepid Minds have developed numerous drone technologies and supportive systems that have been used by various companies and government organisations in the collection, analysis and dissemination of data, development of new waterborne technologies, components and controls. Working with these organisations has allowed Intrepid Minds to have unique access to a wide range of specialist components that allow development of our own technologies to support the future of maritime systems. In 2018 Intrepid Minds took the decision to operate more commercially and the Maritime Systems show is the first of these engagements. View details Israel Defense Supporters https://www.israeldefense.co.il/en/ Israel Defense is a media company specializing in print and digital content, conference and exhibition management, and the publication of books and magazines in the field of cyber, defense, security, and technology. Publications include the groundbreaking "Israel Defense" magazine, a bi-monthly publication providing expert analysis and review of current events from the Israeli and global defense and cyber world. View details Marine Technology Reporter Supporters https://www.marinetechnologynews.com/ Marine Technology Reporter is the industry’s largest circulating magazine dedicated to the marine technology and subsea markets. MTR provides unbiased news and information from around the world and delivers it to a powerful and highly responsive audience of more than 25,000 recipients. With 100% requested BPA verified subscribers, Marine Technology Reporter is the best place for advertising and marketing your company to the global marine science and technology market. Our newly configured website, MarineTechnologyNews.com brings you late breaking news and insight right at your fingertips. View details Maritime Connector Supporters http://maritime-connector.com Maritime Connector brings the latest vacancies in the maritime industry. With over 96,000 registered seafarers and over 3,000 maritime companies and recruitment agencies we collaborate with, Maritime Connector is the ultimate place to find job at sea as well as seagoing personnel. Maritime Connector web portal contains everything a maritime professional needs; maritime news, maritime events and maritime jobs all at one place. We help seafarers to find new job opportunities and boost their careers. At the other hand, we help maritime recruiters to find their crew fast and to stay in line with the latest trends in recruitment. View details The Nautical Institute Supporters http://www.nautinst.org/ The Nautical Institute is the international professional body for qualified seafarers and others with an interest in nautical matters. It provides a wide range of services to enhance the professional standing and knowledge of members who are drawn from all sectors of the maritime world. Founded in 1972, it has nearly 50 branches worldwide and some 7,000 members in 120 countries. 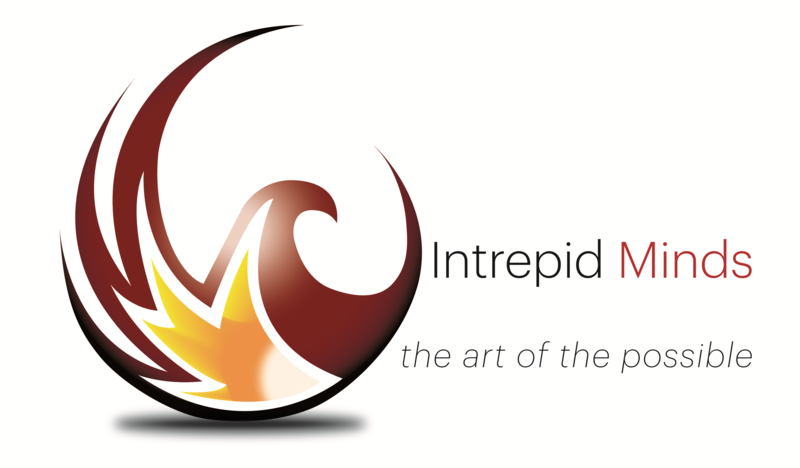 Intrepid Minds Ltd are a UK based SME with offices in South Africa and New Zealand. Since its inception in 2010 Intrepid Minds have been developing autonomous technologies, infrastructure and supportive tools for multiple industries with a focus on defence, renewable energy, transport and agriculture. Intrepid Minds are keen innovators ourselves and have completed numerous Innovate UK, KTN, FP7 and H2020 projects Over the last 8 years Intrepid Minds have developed numerous drone technologies and supportive systems that have been used by various companies and government organisations in the collection, analysis and dissemination of data, development of new waterborne technologies, components and controls. Working with these organisations has allowed Intrepid Minds to have unique access to a wide range of specialist components that allow development of our own technologies to support the future of maritime systems. In 2018 Intrepid Minds took the decision to operate more commercially and the Maritime Systems show is the first of these engagements. The Nautical Institute is the international professional body for qualified seafarers and others with an interest in nautical matters. It provides a wide range of services to enhance the professional standing and knowledge of members who are drawn from all sectors of the maritime world. Founded in 1972, it has nearly 50 branches worldwide and some 7,000 members in 120 countries. Maritime Connector brings the latest vacancies in the maritime industry. With over 96,000 registered seafarers and over 3,000 maritime companies and recruitment agencies we collaborate with, Maritime Connector is the ultimate place to find job at sea as well as seagoing personnel. Maritime Connector web portal contains everything a maritime professional needs; maritime news, maritime events and maritime jobs all at one place. We help seafarers to find new job opportunities and boost their careers. At the other hand, we help maritime recruiters to find their crew fast and to stay in line with the latest trends in recruitment. Israel Defense is a media company specializing in print and digital content, conference and exhibition management, and the publication of books and magazines in the field of cyber, defense, security, and technology. Publications include the groundbreaking "Israel Defense" magazine, a bi-monthly publication providing expert analysis and review of current events from the Israeli and global defense and cyber world. Marine Technology Reporter is the industry’s largest circulating magazine dedicated to the marine technology and subsea markets. MTR provides unbiased news and information from around the world and delivers it to a powerful and highly responsive audience of more than 25,000 recipients. With 100% requested BPA verified subscribers, Marine Technology Reporter is the best place for advertising and marketing your company to the global marine science and technology market. Our newly configured website, MarineTechnologyNews.com brings you late breaking news and insight right at your fingertips.